Since we don’t have camp WIFI (we’re using our Verizon MIFI) .. we haven’t been updating blog or uploading photos. MIFI is great for getting us internet access .. emails .. etc .. but not great for downloading photos.. we’ll attempt that at next campsite. 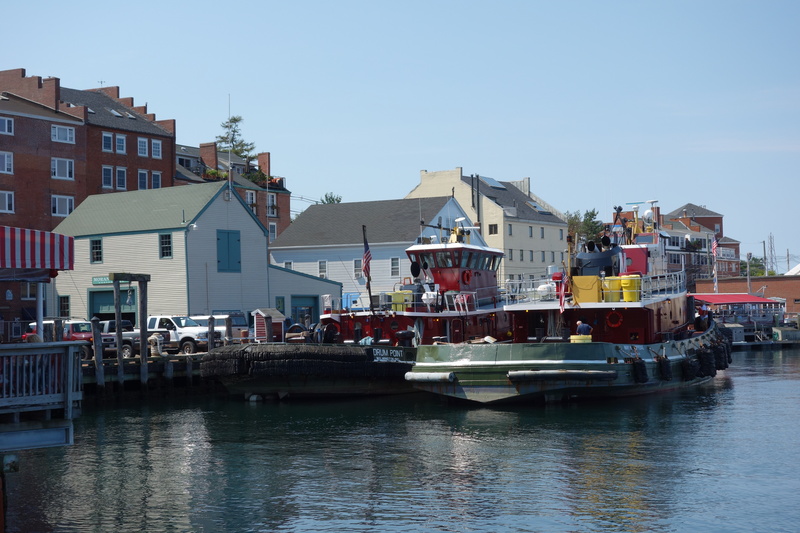 Yesterday we had lunch in Portsmouth NH … approx 40 miles from our campsite. We met Irene & Roy also from Big Bass Lake and happenned to be camping in Maine this week. Had a nice lunch right off one of the many waterfront restaurants. After lunch we agreed to meet again at a local quilt shop, then went out separate ways .. they had to get back to campsite and prepare to head back home. After leaving quilt shop we drove coastal route (RT 1) and discovered York .. a nice beach town. 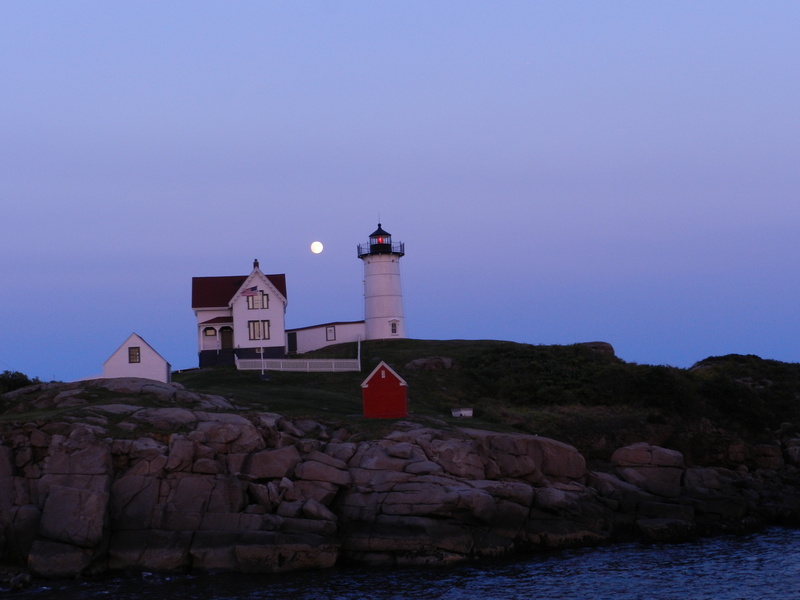 Lots of people milling around the local shops, restaurants, although we would have liked to stop and join them .. it was getting late in the afternoon, and we wanted to drive to the Neddick ‘Nubble’ lighthouse that was also in York. Lighthouse was first in service in 1879 .. was manned by a lightkeeper until 1987. Lighthouse was also used during WWI and WWII by Army as a tower lookout post .. watching for German submarines. A German Uboat was actually sighted in 1943 near Nubble and was destroyed by depth charges … I never realized German submarines got that close to our coast ! Lighthouse was been restored several times .. With sun setting on lighthouse .. we took alot of photos.. We weren’t alone .. alot of people were there to watch sun set as well … beautiful sight..
Today (Friday) we headed to Kennebunkport …. nice ‘touristy’ coastal town. 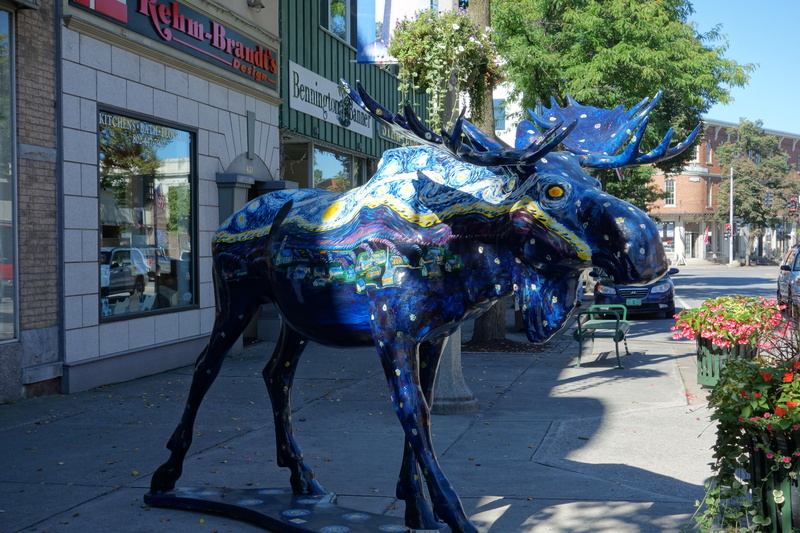 Alot of shops and restaurants on both sides of it’s main street. Weather was cloudy all day .. so good photos were difficult to take. Had our first lobster meal at a place called Allisons. Not being big seafood eaters .. we decided we had to try lobster (anything) on this trip .. so .. we split a lobster roll (sandwich and some mini burgers). Lobster was OK .. but .. for $19.00 .. ?? 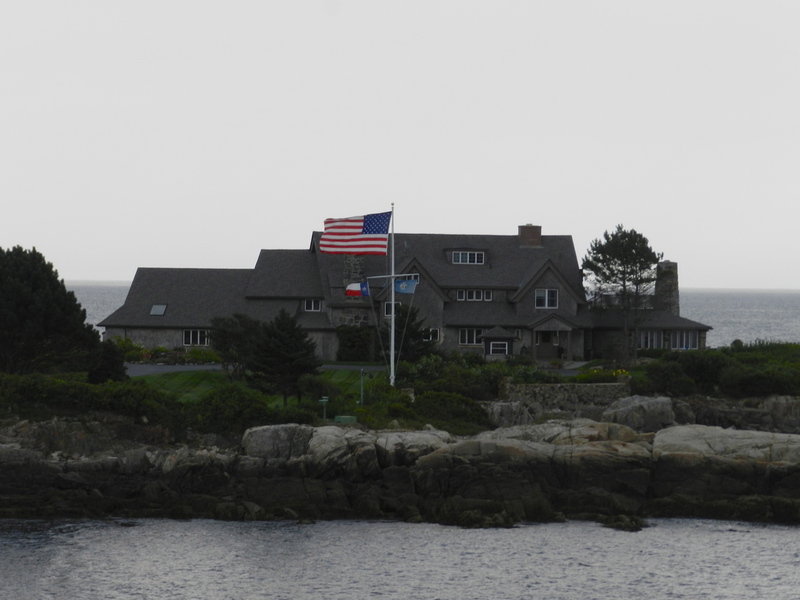 After lunch we headed to the Bush Family Compound not far from main street. What a nice place .. it truly is a compound .. with security guards manning driveway entry. A huge house was right off the water .. with fantastic views .. There were several vehicles in the compound .. but .. no Bush sightings ! 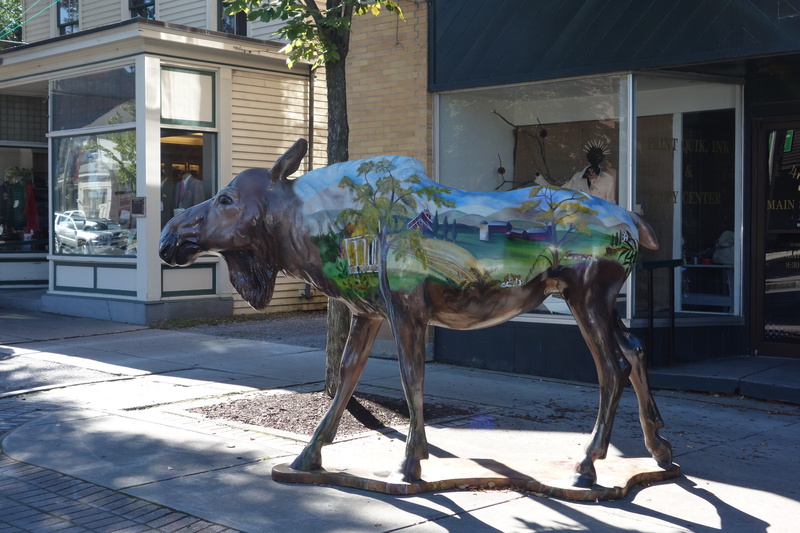 Cruised around Kennebunkport for awhile then headed to another quilt store near by … Terri can scope out these quilt stores like a pro ! Did a little food shopping on the way back to campsite and our day was done. 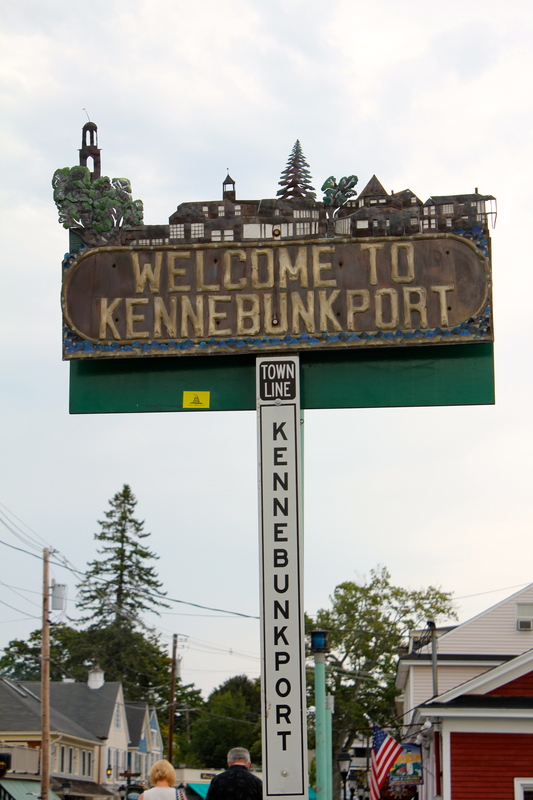 Tomrrow we leave this site and drive to Bar Harbor Maine … approx 200 miles North of us. We’ll update blog from there ! Heading up to Vermont, New Hampshire and Maine for a few weeks. 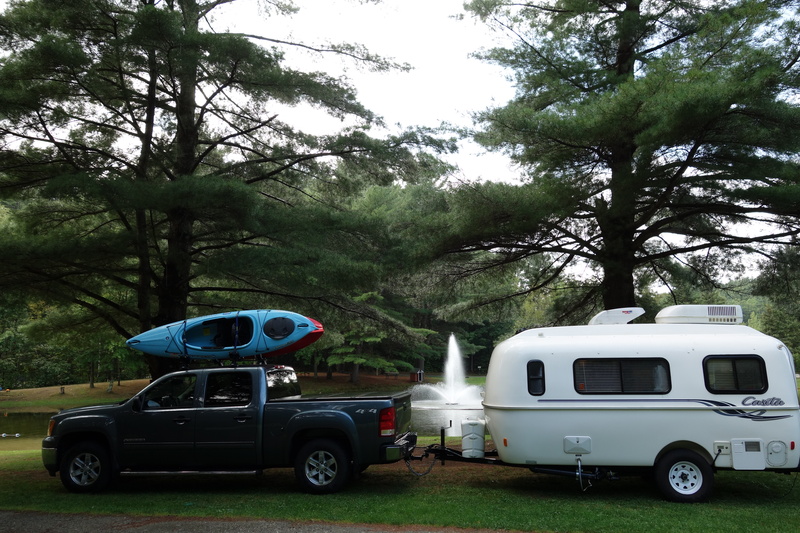 Last night we stayed in a campground in Vermont. 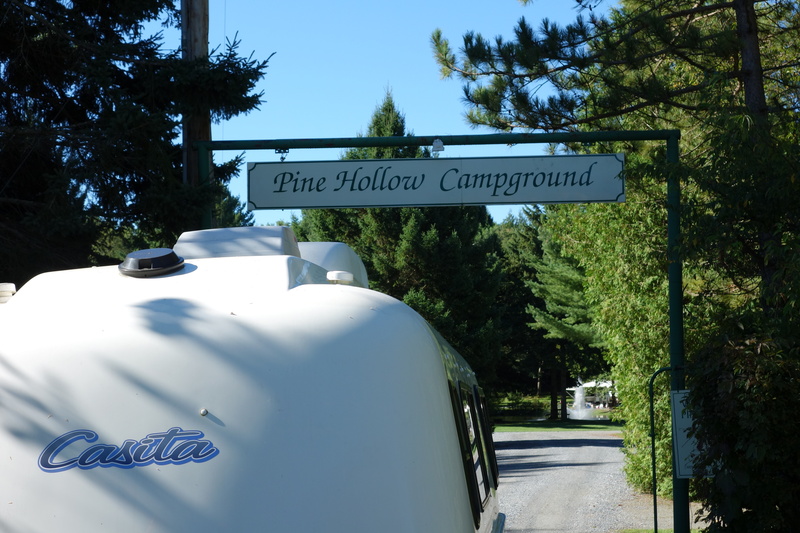 ‘Pine Hollow’ is a secluded campground in Pownal just outside Bennington VT. Only a few folks in the campground .. so we had our pick of campsites. We chose one right next to a pond with a fountain .. very scenic area. Only bad part was that when we arrived .. we encountered a brief rain shower while hooking up .. so .. we got a little soaked. 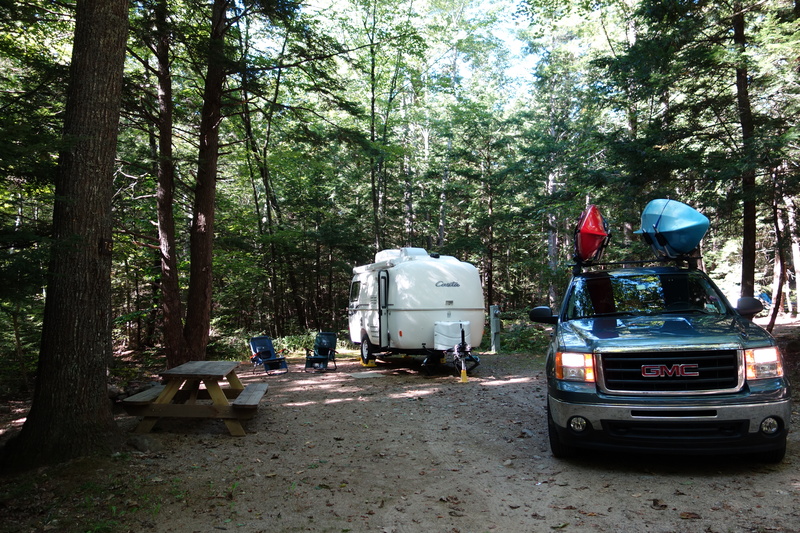 Wed morning we headed to our next campsite in Alfred Maine …. 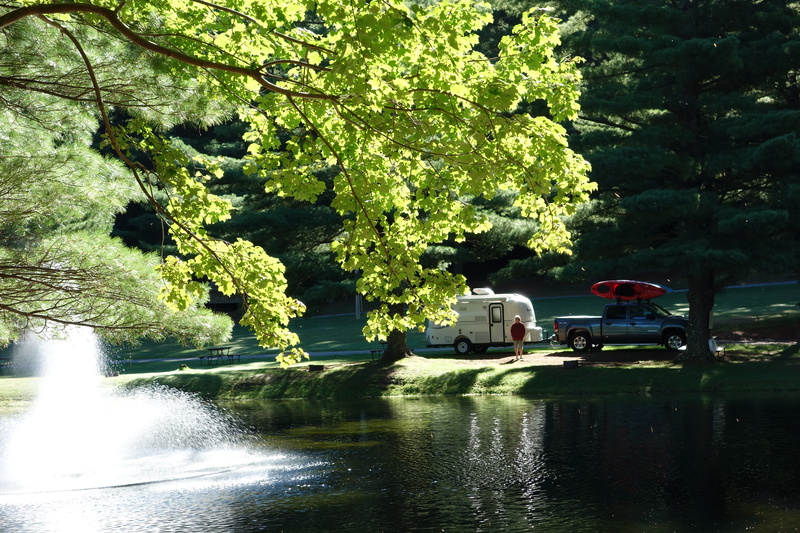 ‘Walnut Grove Campground’ … Total opposite campground scenery .. 1st campsite was in an open field with a pond .. today’s campsite is in heavily wooded area .. Arrived late afternoon .. so we’ll just hang out for the rest of the day .. then do some tourist things for next few days .. we’ll be here until Sat. Sunny no clouds in the sky day .. forcast does call for more of the same for next few days … possible rain on Mon-Tue .. Tropical Storm Isaac ???? ?